The Yukon River is almost 2,000 miles long, flowing through Canada and Alaska to the Bering Sea. 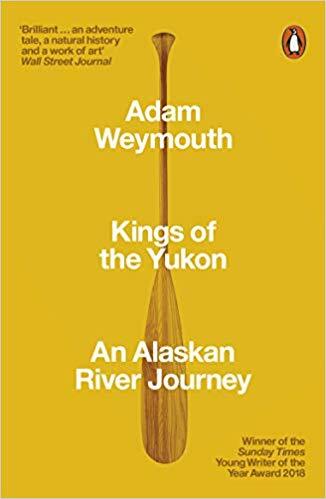 Setting out to explore one of the most ruggedly beautiful and remote regions of North America, Adam Weymouth journeyed by canoe on a four-month odyssey through this untrammelled wilderness, encountering the people who have lived there for generations. The Yukon's inhabitants have long depended on the king salmon who each year migrate the entire river to reach their spawning grounds. Now the salmon numbers have dwindled, and the encroachment of the modern world has changed the way of life on the Yukon, perhaps for ever. Weymouth's searing portraits of these people and landscapes offer an elegiac glimpse of a disappearing world. Kings of the Yukon is an extraordinary adventure, told by a powerful new voice.